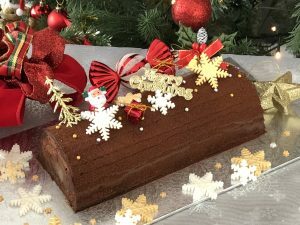 This year why not celebrate Christmas with a handmade authentic French-style Christmas Log cake? 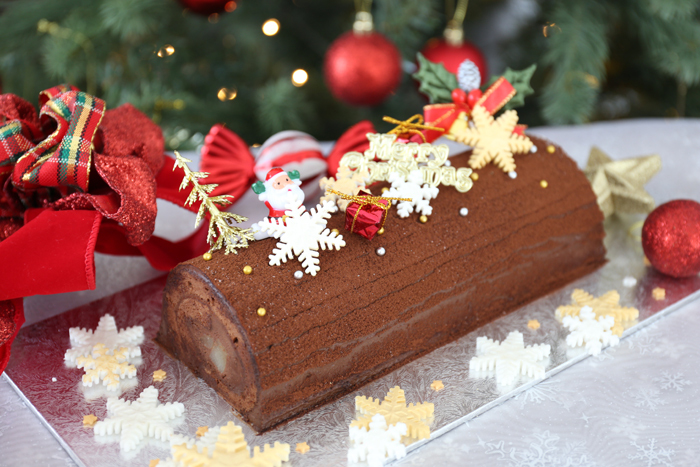 In French, the Christmas Log Cake is called Bûche de Noël, where Bûche means firewood and Noël refers to Christmas. Every year starting from the beginning of December till Christmas, almost every patisserie in France will be selling their original Buche de Noël and customers will be lining up from store to street! Several flavours are available but Chocolate always ranks top among these patisseries. In this class, you can learn how to make this classic cake before Christmas. We have fine-tuned the recipe to make it simple enough for home bakers but still be able to achieve the luxurious look of French patisseries with finesse and Christmas cake decorations. 1) Chocolate sponge (Hands-On): We’ll be using high-quality brown sugar of Amami Oshima in Kyushu, European cocoa powder and fine flour to make fluffy and moist chiffon batter. This recipe is also useful for making simple roll cake. 2) Chocolate ganache cream: Make a thick and rich cream using high-quality cream from Elle & Vire, a leading dairy producer in France, and good quality couverture chocolate. 3)How to roll the cake: Our instructor will teach you a technique to wrap the cake with ganache cream and pear. Then apply a layer of cream on top of the roll cake and decorate with cocoa powder, fondant snow and other holiday decorations. ※You can purchase a set of cake boxes (33 x 17, 5 cm) and (33 x 17, 5 x 10 cm) for S$2 dollars on the day itself (Cash payment only). We’ll need your reservation for preparation purposes so please inform us in advance or immediately after you have booked the tickets should you need to purchase the cake box. Sweater, scarf or cardigan as the studio can get quite cold. 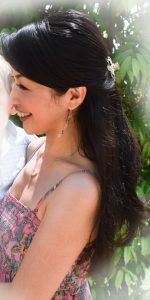 During her 10 years stay in Paris, Yuki learned the art of Patisserie and traditional French cuisine cooking. She is a French national diploma “CAP (Certificat d’ Aptitude Professionnelle) Pâtissier” and also a Diploma of Sommelier holder. In her class, attendees can learn French Pâtisserie and traditional French cuisine cooking techniques in simple, easy to understand steps. Yuki now teaches pastry classes at Spoonful!